Club members only! Must join to participate! Air transportation between Cincinnati and Zurich. Transfer between Zurich Airport & Engelberg via private coach with English speaking assistant. Welcome drink evening of arrival. 7 nights accommodations at the 3 Star Hotel Terrace. Full hot and cold breakfast buffet daily. 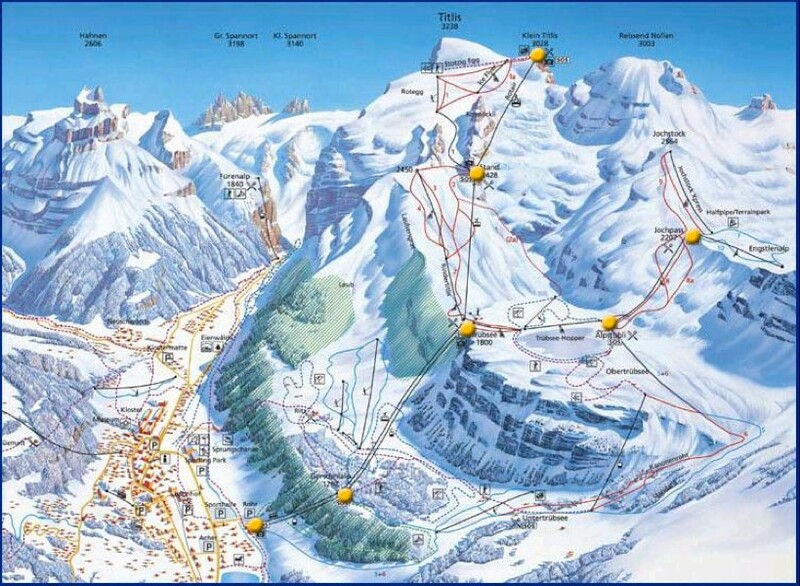 6-day lift pass valid at Titlis Mountain. 5.00 Euro Key Card fee that is refunded when you return your pass. Transfer between Engelberg and Zurich Airport via private coach with English speaking assistant. Return air transportation between Zurich and Cincinnati via Delta Airlines. All local taxes and service charges. All US Air taxes and fuel surcharges, currently $366.00 and subject to change until final payment. Holidaze Luggage tags and passport cases. 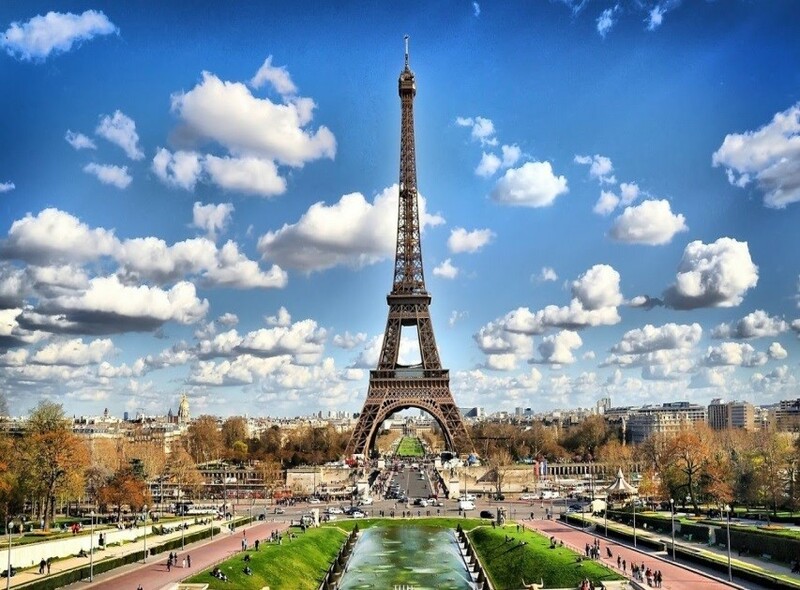 * Paris, France PRE-TRIP add-on is available from February 28 –March 2 for only $265.00!!! See details below. TRIP COST WITH BOTH JUST $2525.00 CHECK OR $2600 CREDIT CARD! * Air transfer between Cincinnati and Paris via Delta (non-stop). * Transfer between Paris airport and Hotel via private coach with English speaking assistant. 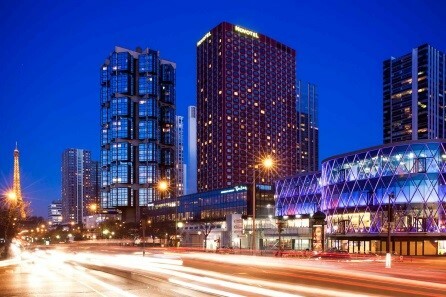 * 2 nights accommodations at the 4 star Novotel Paris Center Tour Eiffel. * Breakfast buffet daily in Paris. * Transfer between Hotel and Charles Du Gaulle Airport via private coach with English speaking assistant. * Air between Paris and Zurich via Air France to meet for Engelberg trip. 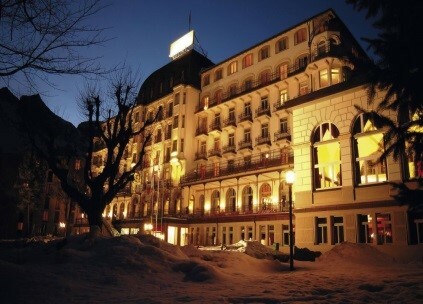 Terrace, Engelberg: Charming 3 star hotel located on a plateau over the village of Engelberg. Large comfortable lobby with 2 bars, and two restaurants and just a 5min shuttle to the lifts.